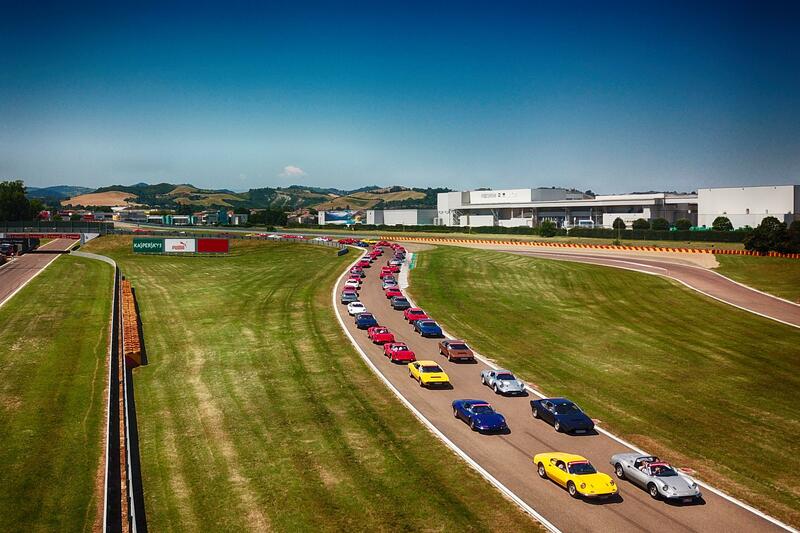 A record parade of 150 Ferrari Dinos descended in Maranello over the weekend to celebrate the nameplate’s 50th anniversary. The spectacle must have been a treat for unassuming locals. 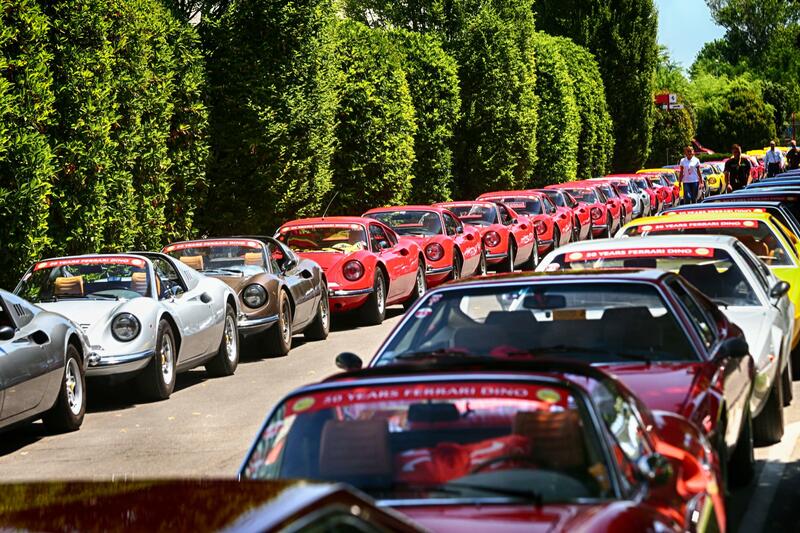 Maranello is the home town of Ferrari, so it probably wasn’t a completely rare sight to see a few Ferraris. But 150 was probably a different story. 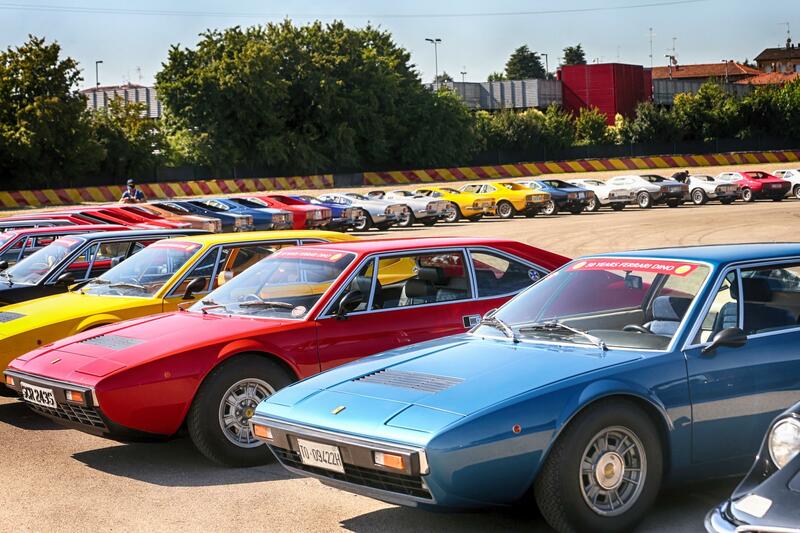 This is apparently a record for the biggest collection of Ferrari Dino cars in one place. 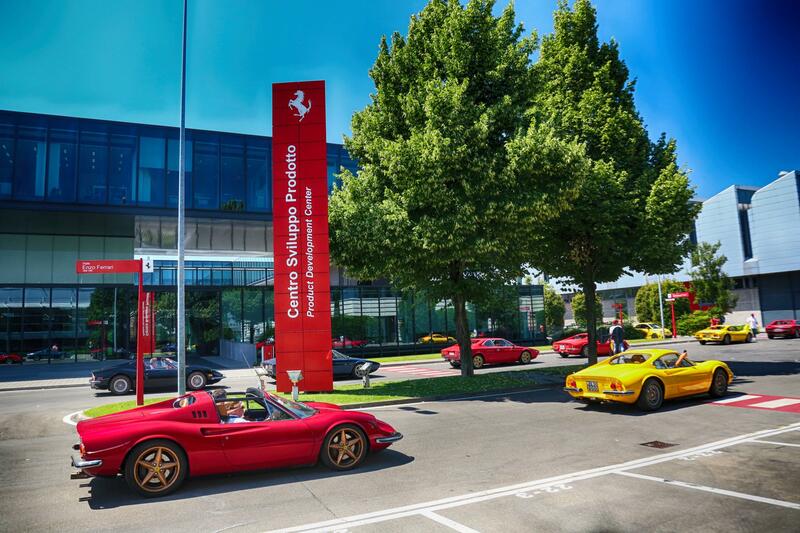 On attendance, over 300 Ferrari customers celebrated the event on Saturday in the forecourt of the Maranello Museum. 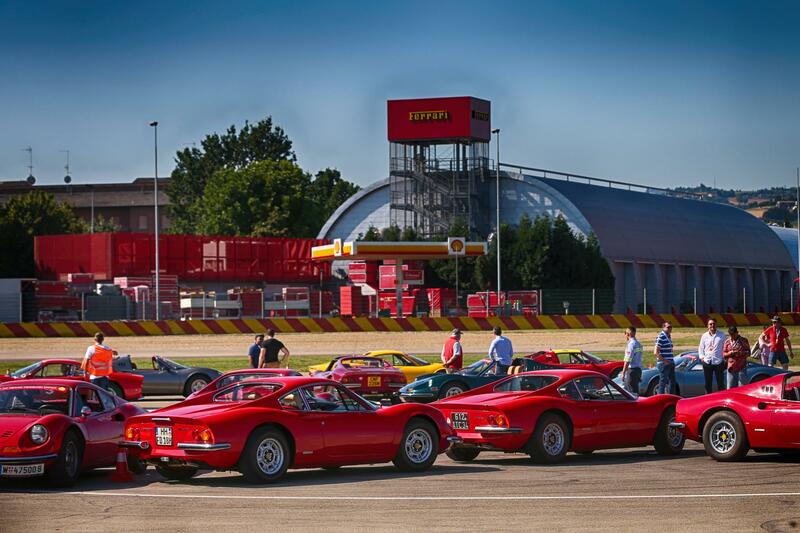 The cars then headed to Ferrari’s own test circuit in Fiorano, just a few suburbs up the road. 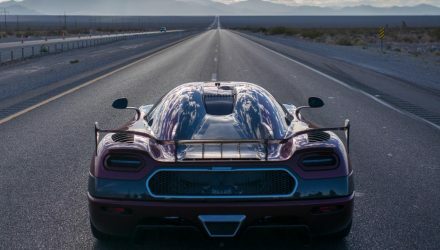 It’s here, in the middle of the industrial area, the 150 examples paraded around the track. 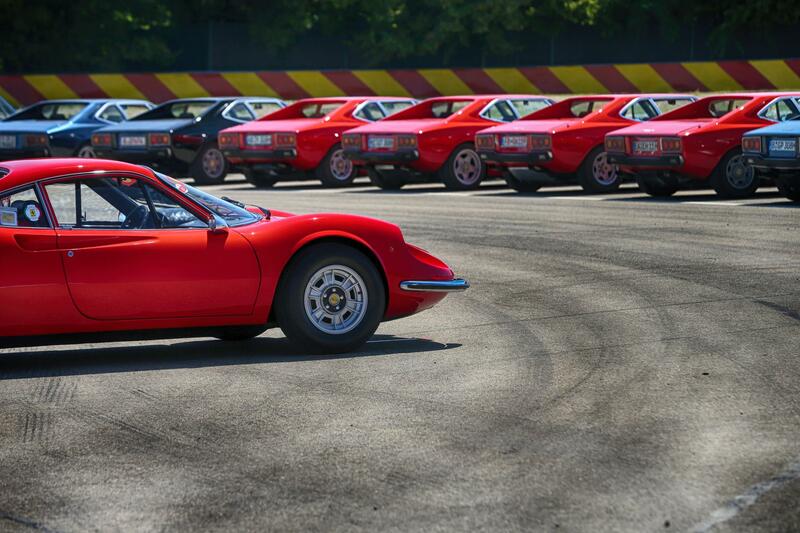 The Ferrari Dino has been somewhat of a controversial model, as it wasn’t technically launched as a Ferrari. 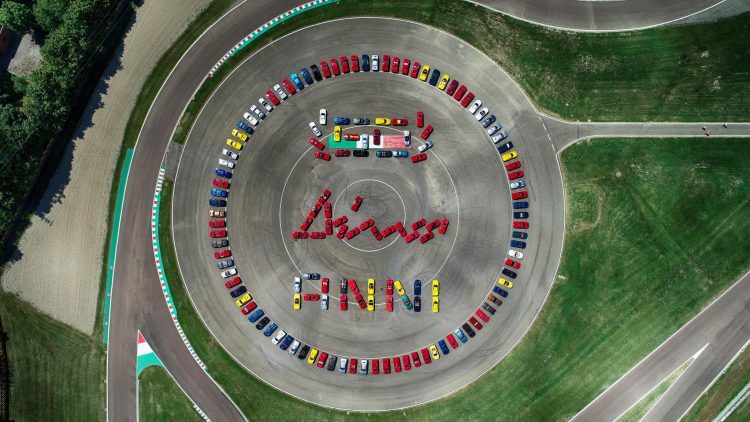 It was the idea of Enzo Ferrari’s son, Dino, and features a six-cylinder engine designed by Dino. 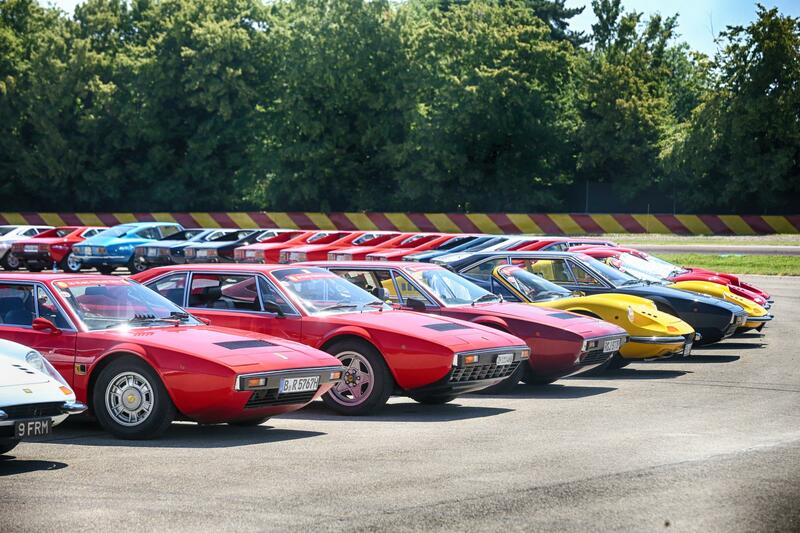 Even so, it went on to become one of the biggest selling Ferraris of all time. 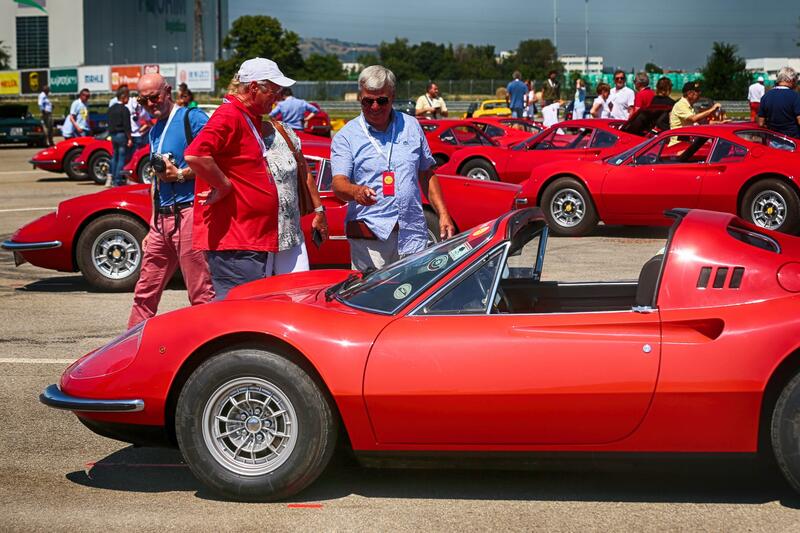 Ferrari first unveiled a concept version at the Paris motor show in 1965. 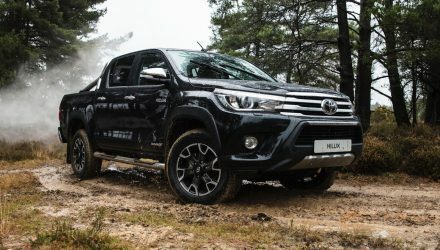 An evolution of it was then shown at the Turin motor show the following year, until finally it made its official debut at the Frankfurt motor show in 1967. So, technically, the Dino’s anniversary was last year. 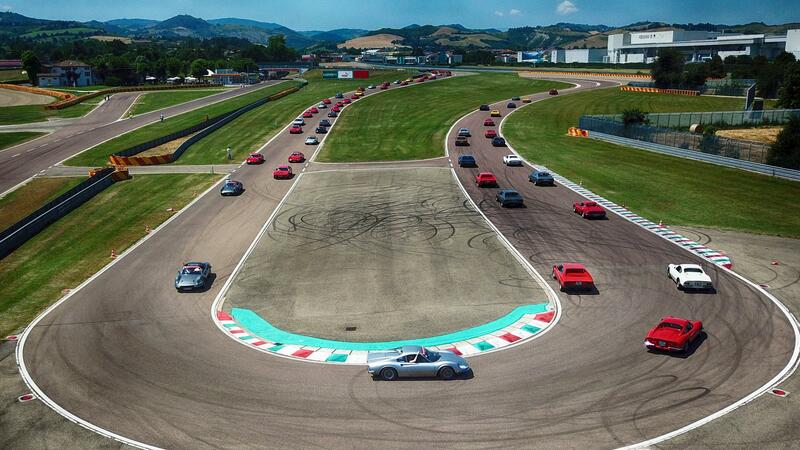 However, Ferrari was basically too busy celebrating its own 70th anniversary last year. 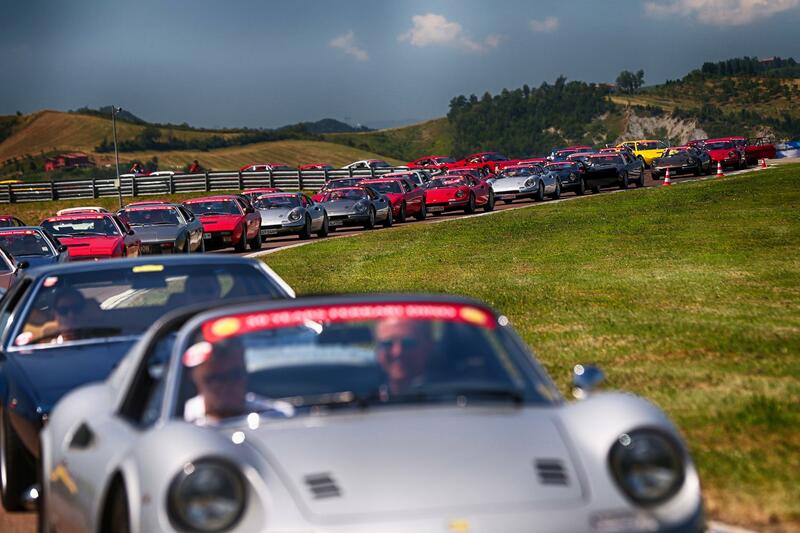 For this celebration Ferrari is marking the occasion of the Dino’s road debut, which took place in March, 1968. 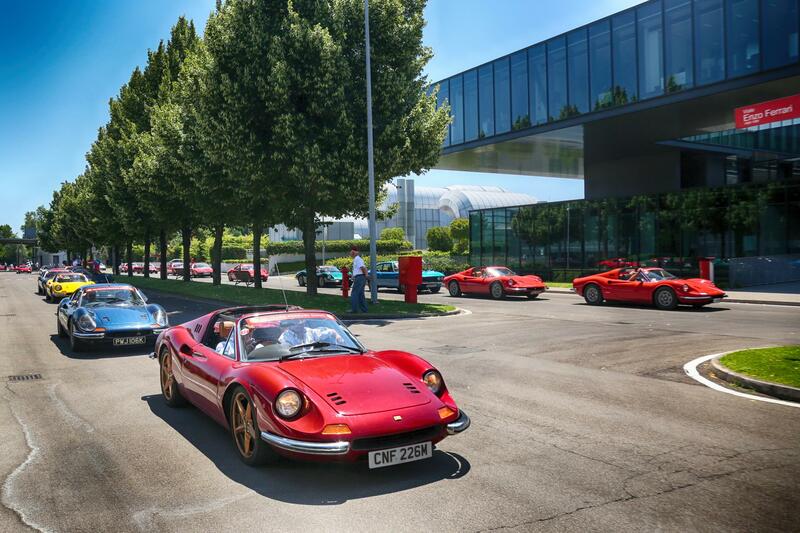 To give the owners a special treat, Ferrari provided a special tour of its headquarters, followed by a traditional drive, one-by-one, through the historical Via Abetone arch. 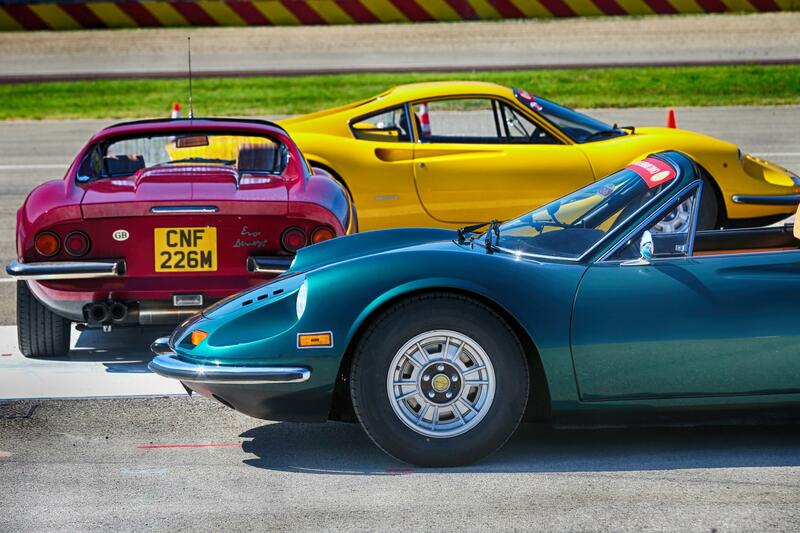 The Ferrari Dino was introduced as a kind of entry model into its supercar range. 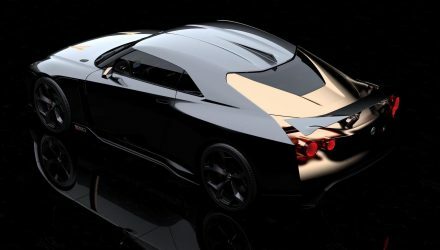 There have been rumours that Ferrari might be planning a new entry model, as a spiritual successor to the Dino. 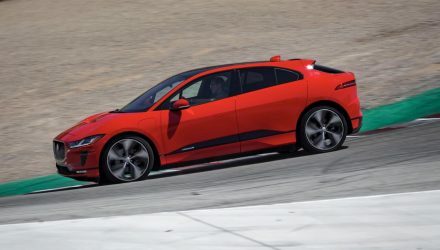 However, we haven’t heard much about it lately which means it might have been just that; a rumour.